The file RogueTech v.0.996-Patch6-F3-PLUS-HF is a modification for BattleTech, a(n) strategy game. Download for free. 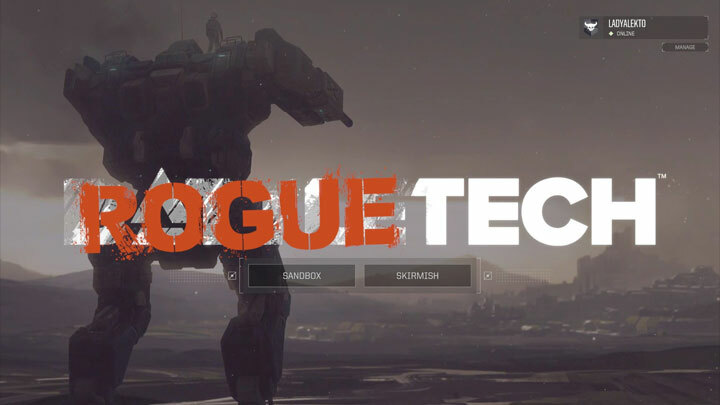 RogueTech is a mod for BattleTech, created by LadyAlekto and Morphyum. The timeline for this mod is at the start of 4th Succession and the War of 3039, when the the first technologies of the Helm Core appear around the sphere. THIS MOD IS NOT SUPPOSED TO BE EASY, ENEMIES ARE DEADLIER AND THAT'S INTENTIONAL! I mean, how fair would it be to just have the player have all these fancy toys? Rebalanced Sim and Combat game, to give you a harsher world. More Mech's: From the pirate commando with infernos, to the Massive KingCrab-0001 with twin Gauss rifles, face off against all kinds of enemy's. With the great houses scrambling for superiority and unlocking the secrets of Helm, new weapons arrive on the battlefield, but nothing is cheap. Check this Article ?for the mods included in this pack. You WILL need MPStark's BattletechModLoader(BTML) in the newest versions, since older one break the mod. The All in One, this is the intended game experience. You are also free to poke and prod each of the files to see what you can do. The exact changes will be kept in Articles, so you can check what it all does (will do my best to clean it up). I want to credit MPStark, Morphyum, RealityMachine and janxious for their dll's, which they have given me permission to be used for this mod pack. Anyone may take this apart to figure out how modtek works, ill try to add as many different stuff as possible for this purpose. I will also answer about everything i learn and tell you how to use it.